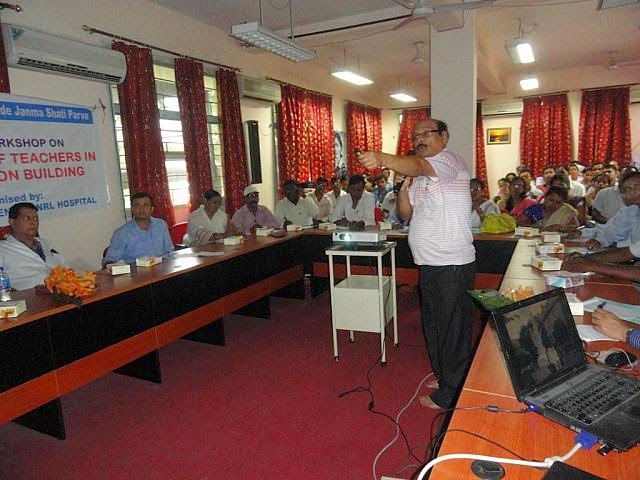 As a part of MEJSP program a workshop is organized for school teachers of Numaligarh in VKNRL hospital on 16th May. In the program total 40 teachers participated from 16 schools.At the beginning Dr. Binit Barua gave the welcome speech. The video flim on Ma. Eknathji was shown to the participants. The pranta Parva Pramukh spoke few lines on the objective of the workshop and MEJSP programme. Dr. B.C Das Purkayashtha delivered the keynote address. After this the participants placed their queries and views.Dr. Heera conducted the prgramme and the whole hospital team extended their support in arranging the programme successfully. Congratulations Nipankarda, Hiranya,Dr. Heera, Debajyoti and all members of VKNRL Team.